Midway between Huckleberry Finn and Holden Caulfield, Danny Murrow confronts coming of age in the early days of the jazz era. 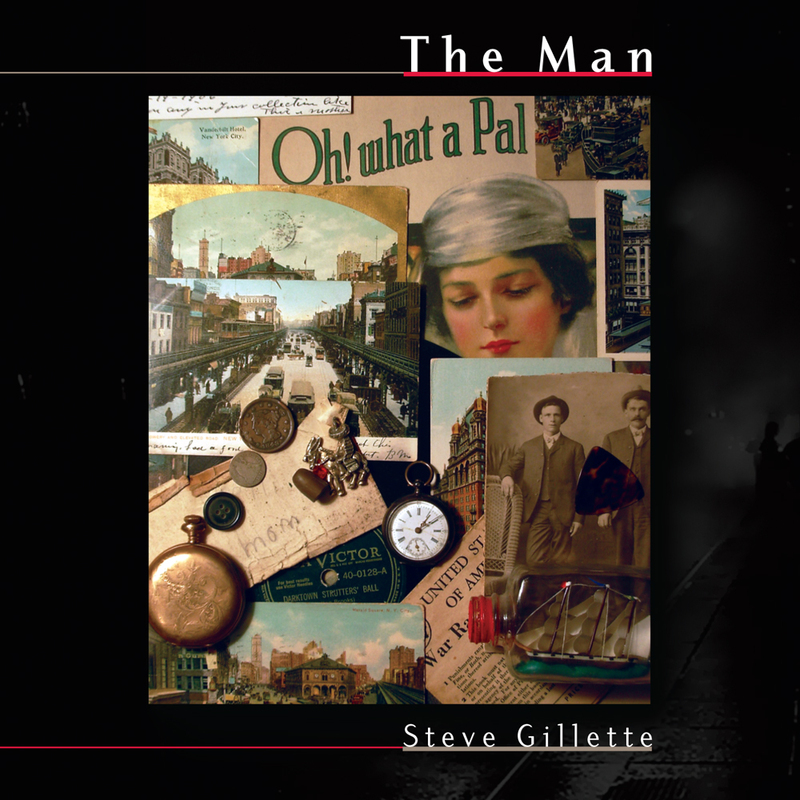 From battered street-waif to celebrated guitar savant our hero endures and abides in “The Man,” newly released by Steve Gillette and Compass Rose Music. Reviews are starting to come in words like, “Inspired!,” “Amazing!,” “Five out of Five Stars!” but enough of that, take a listen and see for yourself. In this first track we meet our hero, Danny Murrow and hear a little bit about his world. Danny is lucky to be adopted by a musical family . . .
Danny comes out of his shell and discovers the guitar. The boys meet Samuel Clemens. As a child I didn't have much of a chance to have a sense of who I was. I was, as they say, troubled. Who I am I owe largely to the woman who rescued me from the streets and volunteered to become the only mother I've ever known. The man in the picture is my great-uncle, Danny Murrow. He and his brother, Johnny were pretty well known as musicians in the nineteen-twenties and thirties. Johnny played the piano and Danny played the guitar. African music is poly- rhythmic and synco- pated. It avoids mono- tony by changing the accented beat from measure to measure. Danny always said it was the music that really brought him into the world. Most of the great re- cordings of the jazz era were made with equip- ment that would be considered by today's producers to be a cruel imposition. Articles Added As They Become Available, Submissions Are Welcome.